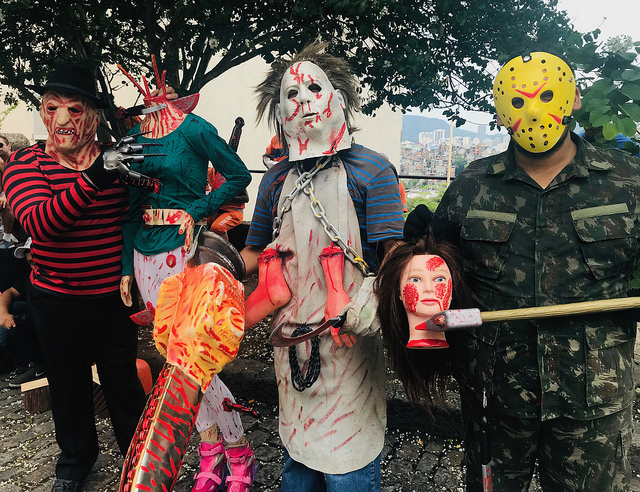 RÍO DE JANEIRO, Apr 4 2019 (IPS) - Several initiatives are seeking to strengthen the fight against femicides in Latin America, a region which, despite growing popular mobilisation and pioneering legislation against gender-based murders, still has the world’s worst rates in what has been described as a “silent genocide,” says U.N. Women. “The normalisation of violence against women and girls, the lack of comprehensive and quality services that identify patterns of violence that could end in femicide, the lack of data and research without a gender perspective are common to all countries,” U.N. Women Regional Director Luiza Carvalho said, summing up the situation in Latin America, in an exclusive interview with IPS. “Ending impunity is critical. 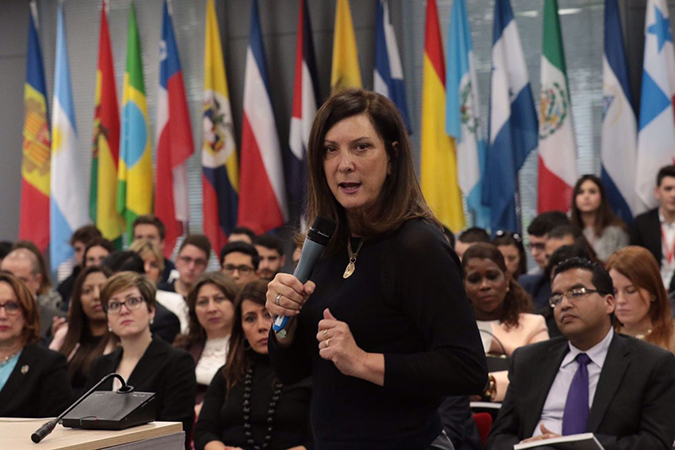 There are countries in the region where up to 95 percent of all cases go unpunished,” Carvalho said from U.N. Women’s regional headquarters in Panama City. One of the new strategies is the Spotlight Initiative, launched by the European Union and the United Nations for the elimination of femicide. Of an initial investment of 500 million euros (562 million dollars), 55 million euros will go to Latin America. Spotlight addresses the phenomenon of gender-based killings holistically through six pillars: gender equality legislation, the strengthening of the institutional framework, primary prevention, quality services, data collection and the strengthening of the women’s movement. The campaign launched in Argentina on Mar. 21 also includes El Salvador, Mexico, Guatemala and Honduras, which was the first country where it was launched worldwide. The selection of these countries, Carvalho explained, was based on factors such as the prevalence rate of femicide, the commitment of the authorities to implement national laws and policies to improve the situation of victims, and the strength of the country’s civil society movements. 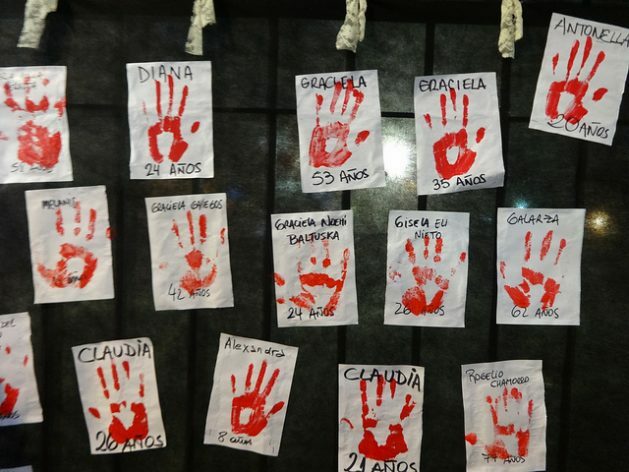 In the case of Argentina, “the #NiUnaMenos (Not One Woman Less) movement drew attention to this phenomenon as an unacceptable situation, demonstrating that it has much to teach the region and the world,” noted the senior Brazilian official regarding the mass demonstrations against femicide that have spread to other countries in the region. Since 1994, the region has had the Inter-American Convention on the Prevention, Punishment and Eradication of Violence against Women, adopted in the Brazilian city of Belém do Pará, Brazil, which formalised the definition of violence against women as a violation of their human rights. This international instrument, signed by 32 countries, provided for the first time for the development of mechanisms to protect and defend women in the fight to eliminate violence against their physical, sexual and psychological integrity, in both the public and private spheres. In 2013, it incorporated the crime of femicide. Femicide has been incorporated into the criminal code in 12 countries (Argentina, Bolivia, Brazil, Chile, Colombia, Dominican Republic, Ecuador, Honduras, Mexico, Panama, Peru and Uruguay). Six others typify it in laws outside these codes (Costa Rica, El Salvador, Guatemala, Nicaragua, Paraguay and Venezuela). In addition, the 32 countries participating in the Convention have laws that protect the rights of women and girls who experience domestic or intra-family violence. To advance these achievements, on Mar. 15, in Washington, DC, U.N. Women, the Organisation of American States (OAS) and the Committee of Experts of the Follow-up Mechanism of the Belem do Pará Convention (Mesecvi) officially launched an Inter-American Model Law on the Prevention, Punishment and Eradication of the Gender-Related Killing of Women and Girls. They also presented an Analysis of Legislation on Femicide in Latin America and the Caribbean and Inputs for a Model Law on this type of sexist or “machista” homicide. The model law “seeks to serve as a basis for creating or updating legislation on the violent death of women in the region, as well as strengthening actions for prevention, protection, care, investigation, prosecution, sanction and integral reparation,” explained Carvalho. A study by Small Arms Survey shows that Latin America has 14 of the 25 countries with the highest rates of femicide in the world per 100,000 women, in a list headed by El Salvador, Honduras and Guatemala. “The Pará Convention was clear in pointing out that an integral view of violence against women is needed, that is to say, in addition to penalising it, States must develop actions for prevention, protection, investigation and reparation, both for the families of the victims and for the survivors,” she said. “We need comparative statistics to analyse and compare between countries what works and what doesn’t to eradicate femicide. When we have better statistics we can see the patterns and severity of the situation and formulate well-founded policies,” she said. “When women are murdered, these cases should be investigated immediately under the presumption that the case is a femicide, as is the case in Mexico. Cases should be properly investigated without gender stereotypes and prejudices, and reparations should be made,” Carvalho urged. According to Mesecvi, States Parties spend less than one percent of their total budgets on actions to combat gender-based violence. “Comprehensive laws need budgets in order to be implemented,” Carvalho said. “We must also place great emphasis on prevention because, even if we put all aggressors in jail, if we don’t change the structural causes, attitudes and perceptions that give rise to violence against women, we will never put an end to the phenomenon,” she added. The expert cited the example of Colombia, which in 2015 passed a law involving the educational system in prevention activities. “Understanding that femicide is the ultimate act in a chain of violence against women means understanding that the health sector, social services, the police and the judicial system must work together,” she said. In that respect, she mentioned “successful” projects such as one in Uruguay that brought together the courts, the police and the National Women’s Institute. In a situation where a woman is at risk, a judge can order the abuser to wear an electronic ankle bracelet connected to a device that the at-risk woman carries with her. If the abuser approaches her, the ankle monitor automatically alerts the police. During the programme, both parties receive psychological support as well. “So far, none of the women who form part of the programme have been murdered,” Carvalho said, with hope.